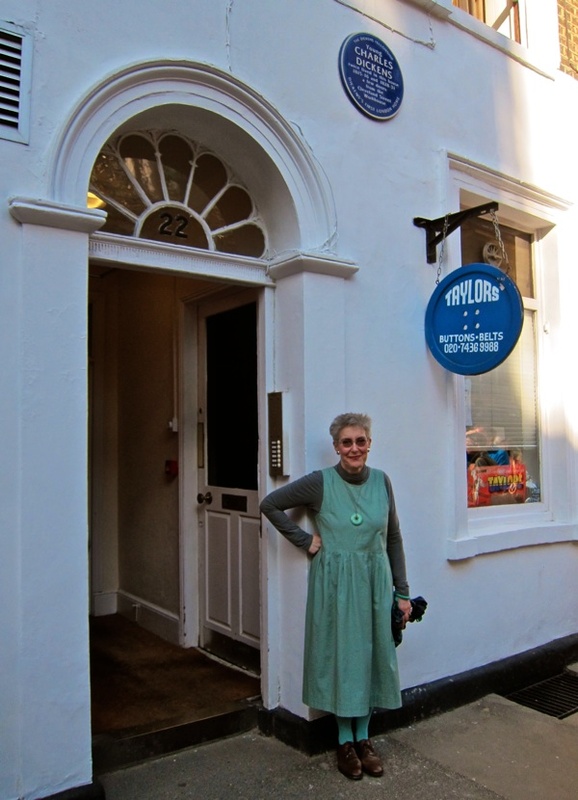 Yesterday, I turned away from the throng of Saturday shoppers in Oxford St to seek the quiet streets of Fitzrovia, where around a hundred people met outside 22 Cleveland St for the unveiling of a new plaque upon Charles Dickens’ childhood home. 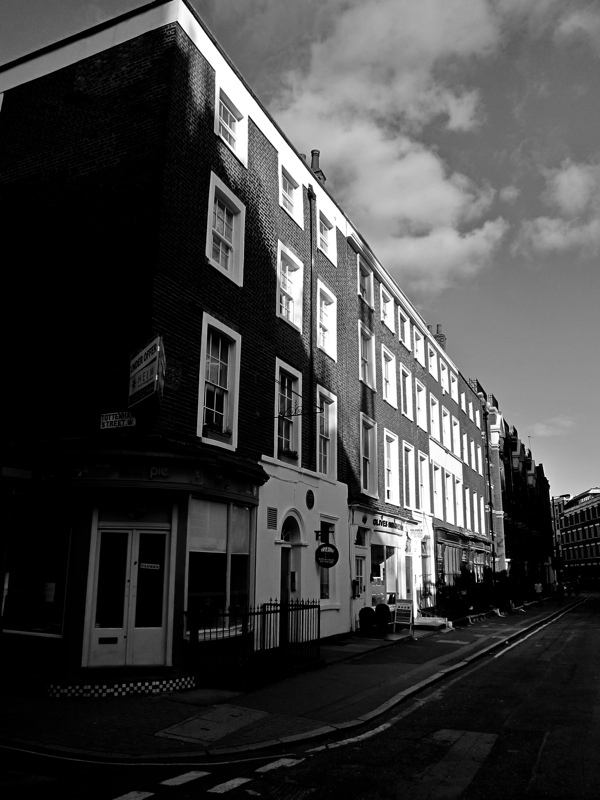 Originally known as 10 Norfolk St, Dickens lodged here with his parents as a child, during 1815 and 1816, before his father’s imprisonment for debt, returning in adolescence, from 1828 until 1831, as he began to make his own way in the world. 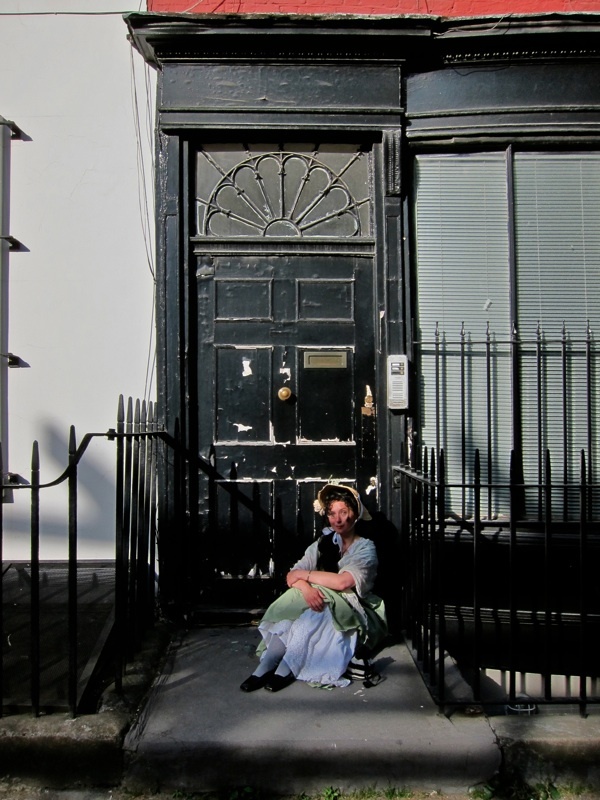 Until recently, it was widely understood that the only one of Dickens’ places of residence to have survived in London was in Doughty St, Bloomsbury, but Ruth Richardson uncovered the existence of his childhood home in Fitzrovia while she was researching the history of the Cleveland St Workhouse, as part of a campaign to save it from demolition. This discovery led her to compare the distinctive regime and circumstances at the Cleveland St Workhouse with that described in ‘Oliver Twist’ and she realised that Dickens had used this workhouse just a few doors from his childhood home as the template for the one in his novel. Richardson tells the compelling story of her detective work in Dickens & the Workhouse and the success of her research led to a Grade II listing for the building, thereby ensuring its survival. A key discovery for Richardson was the calling card that Dickens produced to gain employment as a shorthand writer while resident here. When she contacted the owner of the only-known copy of the card, Dan Calinescu of the Toronto branch of the Dickens Fellowship, he asked her why there was no plaque upon the building and, when she told him that there was no money for a plaque, he offered to pay for it. Thus I found myself shaking hands with Mr Calinescu yesterday, amidst a diverse crowd of fans – many in historic garb – that gathered to celebrate Dickens and consider the influence of this immediate environment upon the nascent writer. 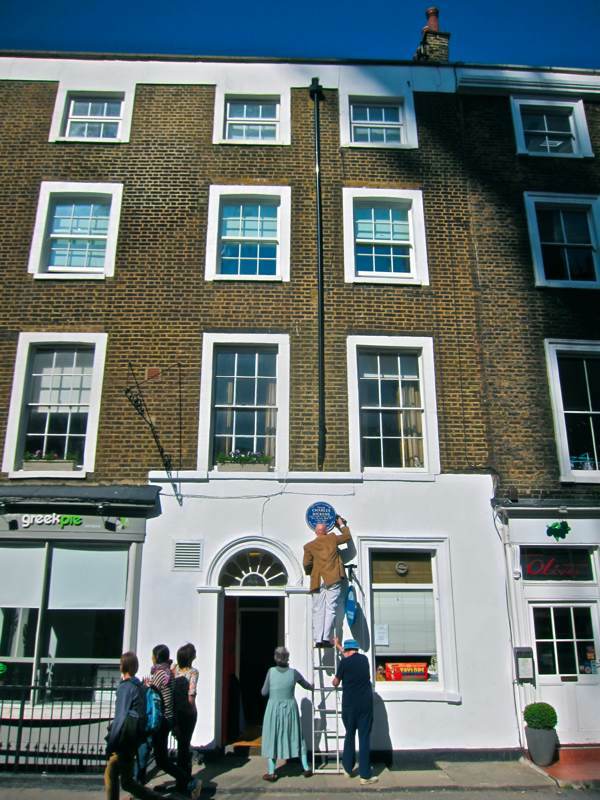 Living in lodgings here above a grocer’s shop, young Dickens learned to read and write, and suffered the domestic insecurity brought about by his father’s gambling. 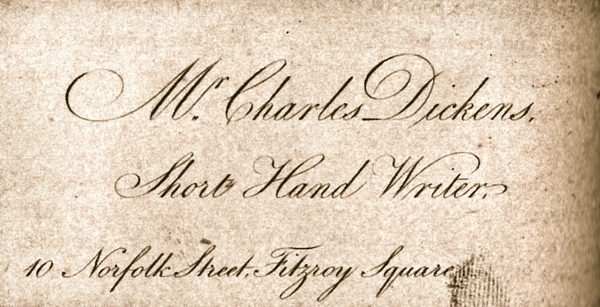 Returning after his father’s imprisonment, Dickens learnt shorthand here and sought to establish his independence, applying for a reader’s ticket at the British Museum from this address. 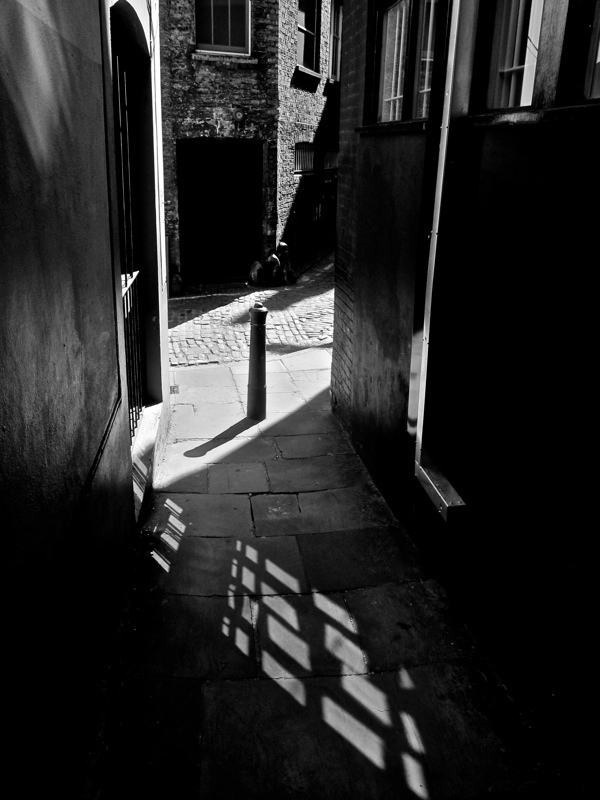 For the five years that he lived in this street, Dickens could not ignore the presence of the workhouse upon his doorstep – as the fate that he struggled to avoid – and the impression it made upon him inspired one of his greatest novels. 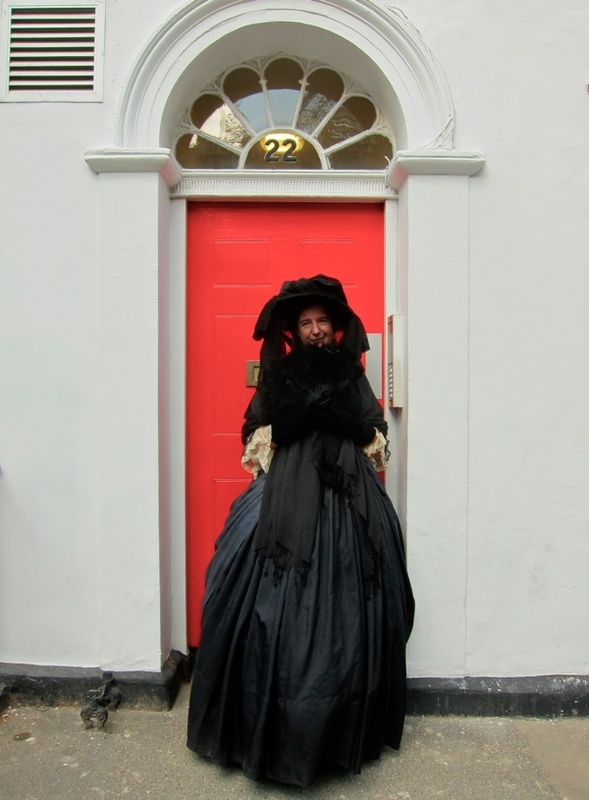 Lucinda Dickens Hawksley, Dickens’ great-great granddaughter, pulls away the cloth.. 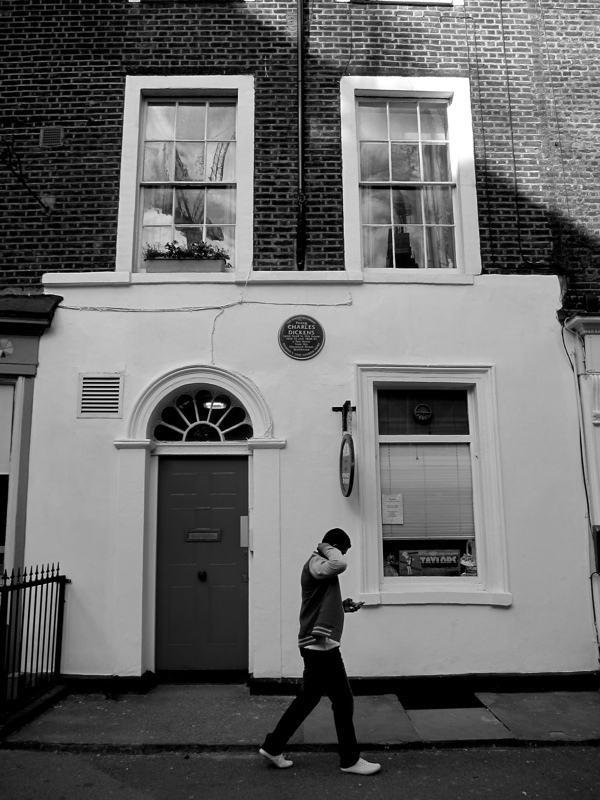 The door where Charles Dickens once walked in. Jennifer Emerson as Dolly Varden. 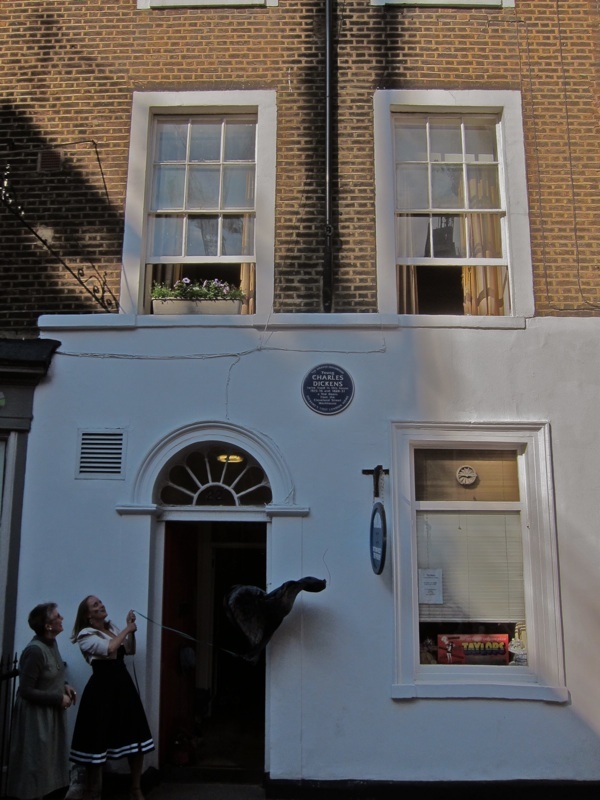 Cleveland St, with Dickens’ childhood home at number 22 – originally 10 Norfolk St. 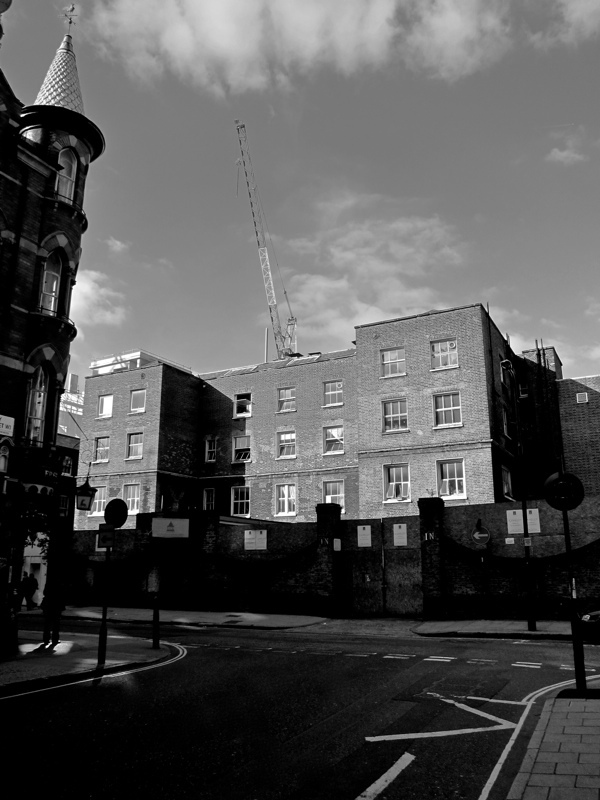 The Cleveland St Workhouse that served as the inspiration for the workhouse in Oliver Twist. Thank you for sharing this – I’ve been your fan for the last three years. Yet another super post , I love Dickens and found this very interesting. Thank you Gentle Author I am learning so much and you have inspired me to start keeping my own record of every day life in Plymouth. I grew up around the corner on Riding House Street. Its a fascinating area and one where many literary giants, such as Virginia Woolf and George Bernard Shaw, once lived. 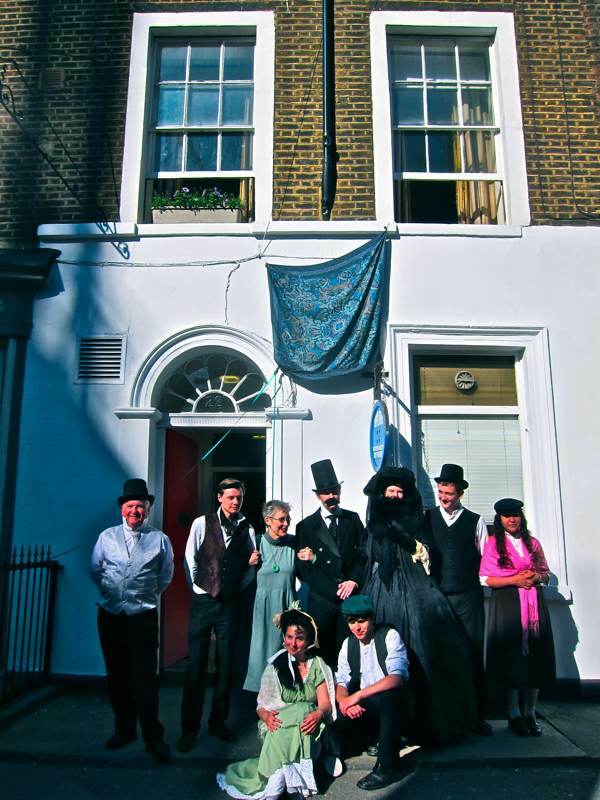 I’ve known about the Dickens house on Cleveland Street for years and am so pleased that at last it’s been recognised. Thank you for posting this and for spreading the word. A whole new generation is being introduced to Dickens via the wonderful CBBC series ‘Horrible Histories’. In a recent episode an actor dressed as Dickens sang the story of his life and work in the style of Morrisey (complete with gladioli). I was watching it with my 12 yr old but a google search shows that the video footage is being enjoyed by a much wider – and older – international audience. So glad you covered this. I didn’t know about it and it’s all so interesting. Such lively photos and a beautiful last one. Gentle Author, this is a wonderful article and photographic record. As a student in Portsmouth in the 1960s I remember a similar tale. The inexorable bulldozer was marching towards the north of the city centre and it took a very loud protest to prevent Dicken’s birth place being demolished! On this occasion the City of Portsmouth relented and now have a big cultural and tourist attraction. One wonders when the powers to be will see wisdom & sense by placing a plaque upon your own residence in a little corner of Spitalfields G.A? !! I’m sure it will happen one day and I hope it’s within your lifetime in order to commemorate your wonderful writings which capture so many aspects of “London Life” together with the fascinating accounts & stories behind the lives of the everyday London people and businesses. Beit your stories from yesterday, today or your future writings of “London Life” & “Life in London”. The only difference between yourself and Dicken’s as I see it, is that he used a ink quill pen with blotting paper & you use what no doubt the great man himself would use today if he were still alive… I’m quite not sure what he would make of the meaning & the word “Blog” though! More power to your “Technological Quill” G.A. and one day your eyes shall behold that Blue Plaque… whether viewed with your own eyes from street level in your own lifetime or by you looking down from upon a “Gentle” cloud – either way, I am sure as day turns to night, you yourself will be swaggering approvingly that day and doing an impromptu story in situ about famous London residences adorned with plaques, plaque makers & plaque hangers. Ruth Richardson and I were Research Fellows at the History Workshop Center at Ruskin College in 1985-6. Now that I have taken in the news of this amazing campaign and read her book, it just remains for me to thank the Gentle Author for supporting the work of other historians in the field of local history. Ruth, if you see this, I remember very fun train rides to Oxford and back – Hello from Hetty. One day I came across your amazing book ‘Dickens and the Workhouse’ at my public library in Seattle. I picked it up and could not put it down until I’d read the last word. I loved it that much. I found it all so amazing. What added to my delight was I then got to do my own sleuthing via google street view, where I looked up all the street names and found the actual location of the buildings myself. It added to the mystery of it all for me. It is an amazing story. One thing I’ve often wondered about was where Dickens used to go on his all night walks? I read that he was in the habit of sometimes walking all night to hash out the workings of his writing. I wonder where he went and what it was like when he walked the streets. I understand that part of the genius that drove his writing was the fear that he experienced as a child (much of it in the workhouse). That would be an interesting subject to explore. I guess one could actually walk to parts of London that were almost rural back then. Anyhow, I LOVE the books ‘Dickens and the Workhouse’.